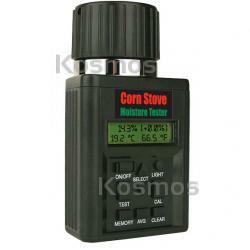 Corn Stove Moisture Tester, Kosmos Scientific de México, S.A. de C.V. Eliminate costly stove and auger repair. Using a Corn Stove Moisture Tester is recommended for preventing cold stove downtime and avoiding corn spoilage and toxic molds.